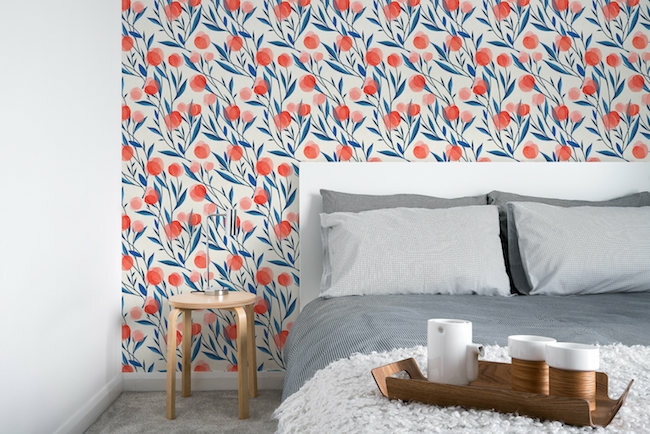 Being a child of the 1980s and 90s, I can't believe I'm saying this, but I really love the current wallpaper trend sweeping the home decor scene. (Whatever, I'm calling it a scene.) 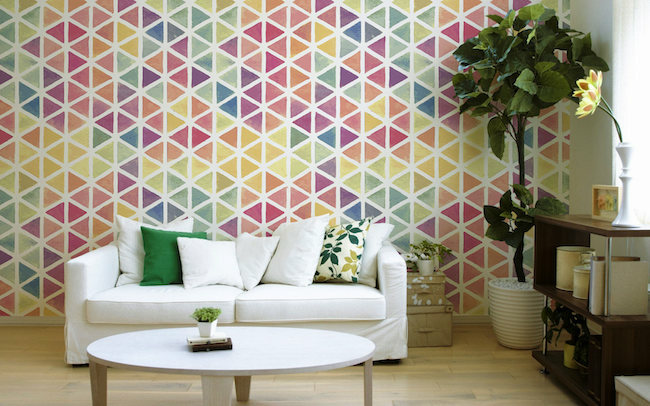 I never understood the appeal of wallpaper in the past, due to its installation difficulty, the types of boring and/or dated designs that tended to be available and, of course, the torture of eventually removing it. Why would anyone go through all that?! This, though, is not your grandma's wallpaper, and I actually mean that literally. 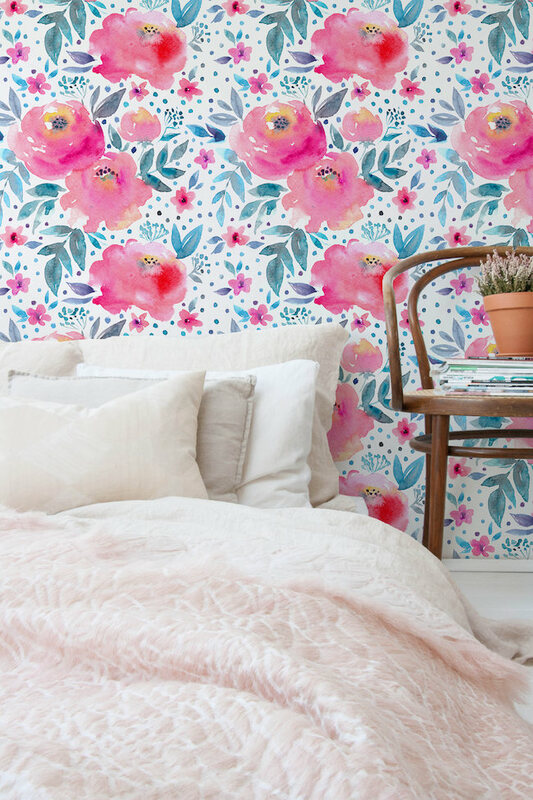 The tiny florals and muted shades of yesteryear - funeral home chic, really - are now replaced by bright, oversized prints and contemporary designs. 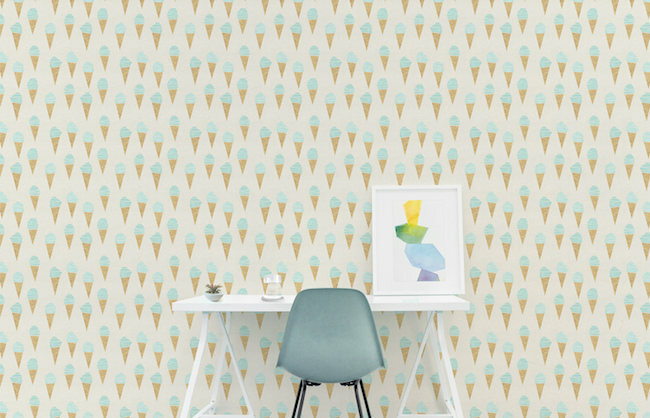 I seriously doubt your grandma would've plastered her walls in an ice cream cone print. I remember mine having a more serious fruit print in the dining room that I desperately wanted to lick, like in Willy Wonka, but feared the vintage glue and, you know, shame of it all. 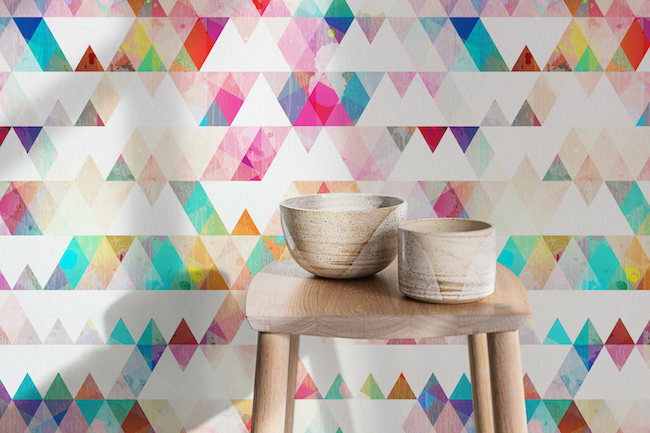 Watercolour Workshop offers beautiful modern designs, courtesy of a husband and wife business duo. 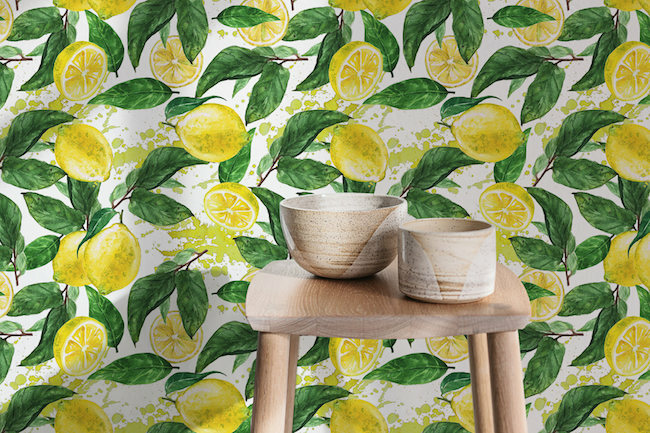 Their colorful prints range from big, bright blooms to lively little lemons. The best part? Their wallpaper is removable. Yes, queen, your heard me right. It's a peel and stick process that allows the PVC wallpaper to be easily installed without messy glues, and removed when the time comes. I'll take it! 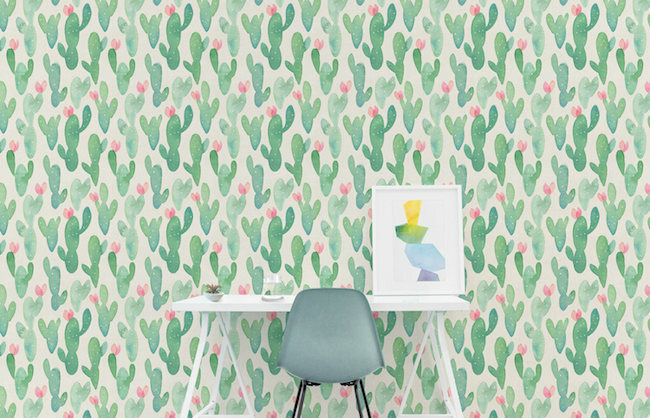 They also offer fabric wallpapers for surfaces that require it, and custom sizes to make your not-so-perfectly rectangular walls easier to cover. 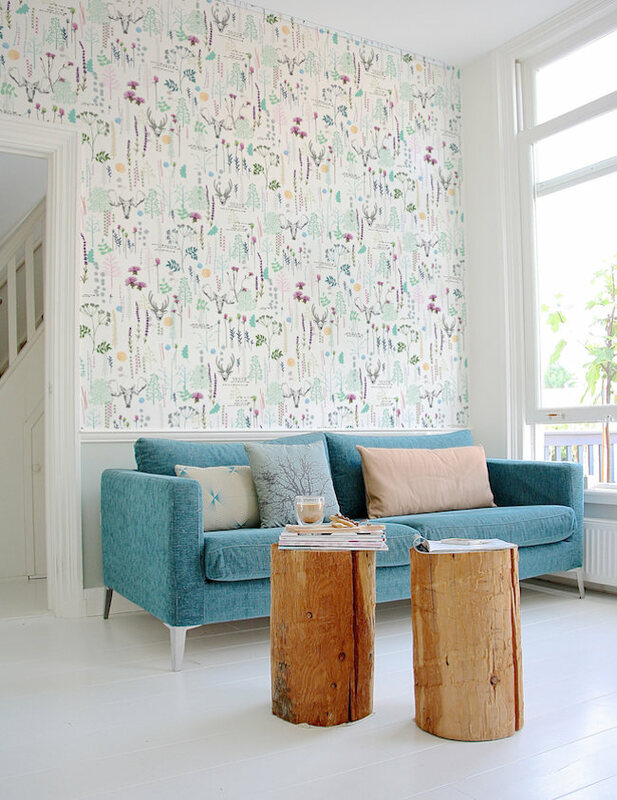 I love the look of a printed statement wall, especially if you're not quite ready to dive in to a fully wallpapered look. 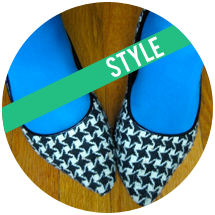 This also seems great for renters, as it is removable and allows you to give some custom personality to your space without painting or making permanent changes. 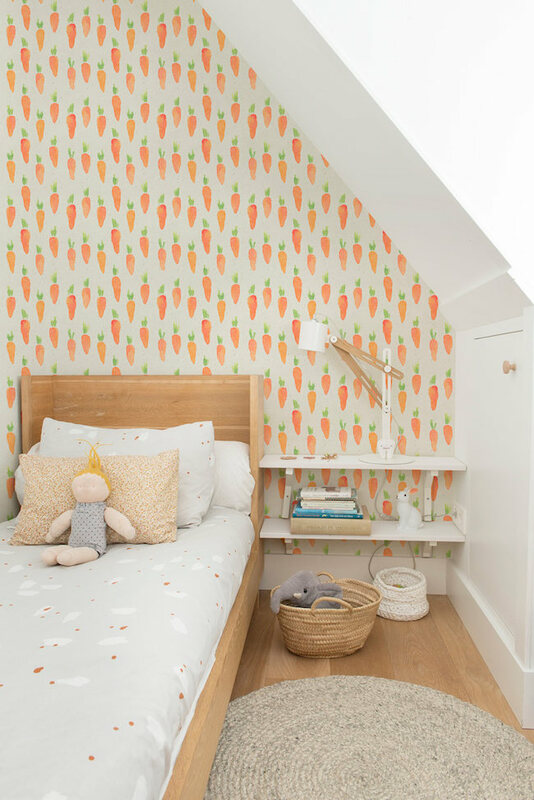 Or, if you just like to switch up your space frequently, you can more easily go from carrots to triangles to a mountain view. Options, baby. Have you ever seen Watercolour Workshop before? 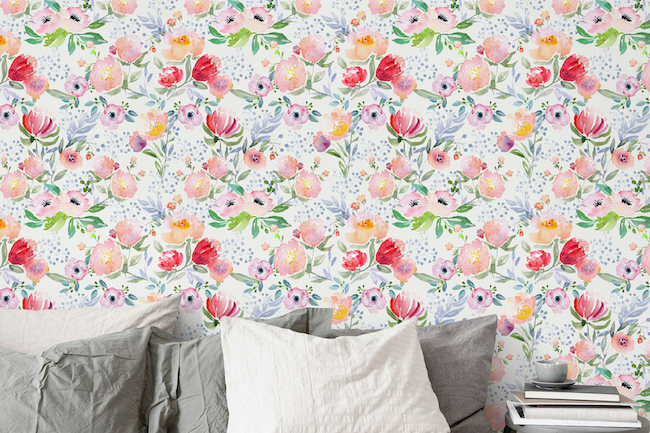 Are you in or out on this wallpaper trend? How much do need an ice cream wall, like, yesterday? !